The Middle Fork of the Salmon River is a spectacular journey through the Frank Church River of No Return Wilderness in Idaho. Most trips are six days, which is the perfect amount of time to forget about the outside world and take in this amazing canyon. 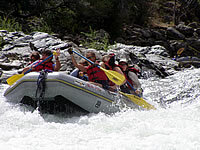 The Middle Fork is well known among river runners for its great rapids, jaw-dropping scenery, and wonderful hot springs. Early season trips in May and June are able to run the Middle Fork 100 miles from Boundary Creek to Cache Bar due to the higher water. As the water drops, most groups will fly into Indian Creek and run the lower 75 miles of the river. The weather is typically good, but there is always a chance of rain and cool weather which makes a trip exciting. The best part of a trip on the Middle Fork of the Salmon is the great camps and good food with friends. 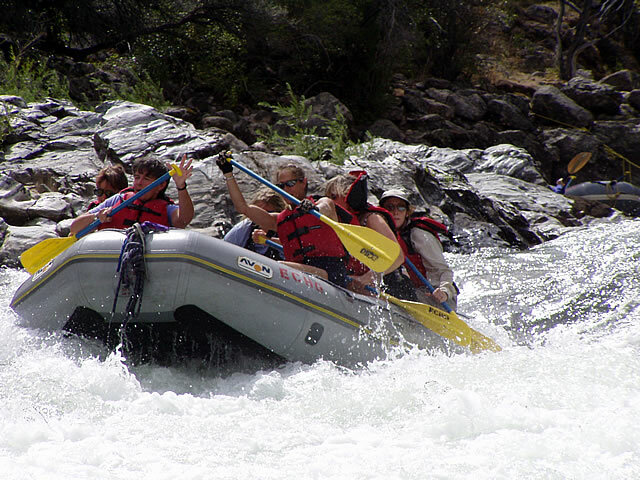 Northwest Rafting Company (541) 450-9855 opffers professional trips on Idaho's Middle Fork of the Salmon River. 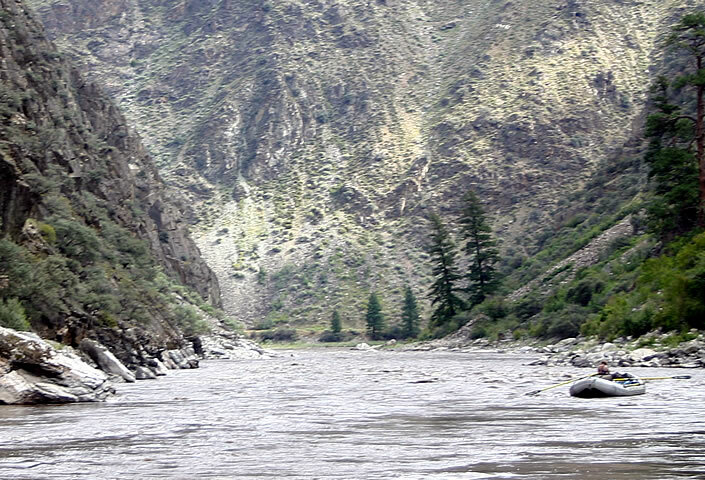 If you are a private boater, you will need a Middle Fork of the Salmon River permit in order to run the river. Permits are difficult to obtain so many private boaters join commercial trips to see this spectacular river. Meet the guides in the morning and paddle through technical rapids including the famous "Velvet Falls." Late in the rafting season we may start our trip by flying into Indian Creek 25 miles downstream of Boundary Creek due to low water. Rafting through the magical canyons of the Middle Salmon. We will stop for hot springs, side hikes, and lunch. Air and car shuttles are not included in the cost of the trip. There are several wonderful lodge options on the Middle Fork of the Salmon available for charter trips at an increased price. Please call us for details.